The murder in January of investigative journalist Ahmed Hussein Suale-Divela in Ghana, one of Africa’s most stable and democratic countries, shocked the country and journalists around the world. The National Press Club called for a thorough investigation, and urged Ghanaian officials to ensure that journalists can work without the threat of violence. 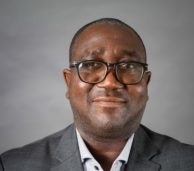 Journalist and lawyer George Sarpong, executive secretary of Ghana’s National Media Commission, spoke with National Press Club broadcast/podcast team member Viola Gienger about that case and the state of the news media in Ghana, including the influence of China. Sarpong just completed a five-month fellowship at the National Endowment for Democracy in Washington DC, where he researched Africa’s transition from analog to digital broadcasting and the implications for freedom of expression and access to information.